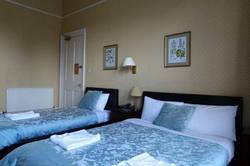 This stunning small guest house hotel is located in Haymarket Edinburgh within easy reach of Princes Street. We are also near to many other attractions in the city. 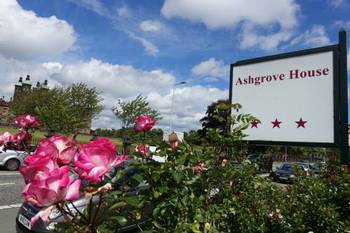 Ashgrove is a very nice small hotel with a selection of 8 lovely rooms on offer to you. 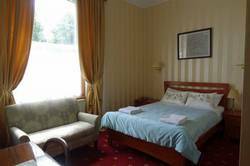 Being of a small size means that you get a personal service throughout your stay with us. 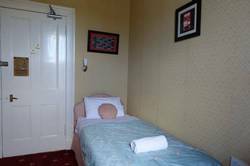 The building is Victorian and has a number of period features remaining within for you to enjoy. There is a lovely fireplace and also some nice period furniture. This will give you a feel of living in the city way back when. 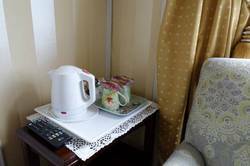 Yet all the amenities here are up-to-date so will be just what a modern traveller would expect. Our location is just along the road from Haymarket Terrace which is where all the shops and restaurants start to appear. This vibrant hub of social activity also has easy access to the centre. Walking the 1 mile to Princes Street will take you only 20 minutes. It us even quicker, and less effort on the tram. As we are around 550 yards directly West of Haymarket train station and the local tram stop it only take 15 minutes or so. So what attractions do we have nearby and how far away are they I hear you ask? Lets look at that in some detail. About 1/2 a mile North (12 minutes on foot) there is Scottish National Gallery of Modern Art. Murrayfield Stadium is 0.7 miles (15 minutes walk) West. Events at the Edinburgh International Conference Centre are only 1/2 a mile (12 minutes walk) directly East of us. Carry on further East and you reach Edinburgh Castle and the Royal Mile which is about 1.3 miles (25 minutes walk) in total.